Reduced price as new pony has arrived! Trial considered for right home for this fun pony. Rocket is a great Pony Club / Hunting all-rounder. 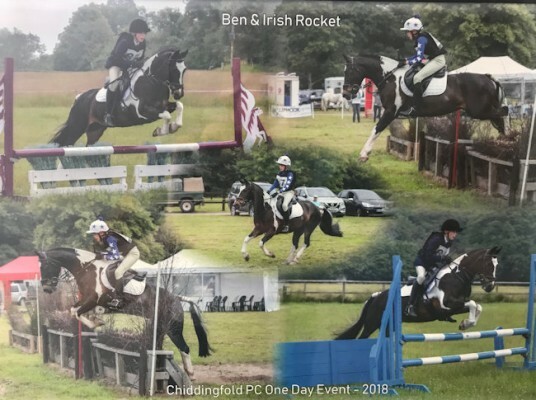 Sadly my 12yr old son has now outgrown him, but during our time he has had lots of fun at Pony Club rallies and Junior camp (where they won the camp cup), PC Eventing, NSEA JwS and SJ, Hunter Trials, Sponsored rides and his favourite Hunting. He competed at the NSEA 75cm JwS Champs 2018 and Sunshine Tour Hickstead Champs 2018 SJ 70cm. Would suit a confident rider 10yrs+ wanting to try all disciplines and hopefully Hunt rather than do lots of flat work in a school as it's not his favourite thing - he'd rather be hacking or hunting. Great boys pony! Rocket has three nice balanced paces, can easily take a light adult, is steady hacking and schooling however does need a competent rider as is keen (but safe) out Hunting/XC. He's a tough pony, will go all day, hunting in any weather and will stand at a meet. Hunted with my son last season the pair of them often refusing to come home till the bitter end. Hacks alone or in company, ready to go for the spring. Currently living out with mares/geldings. Clean legs and never been lame. 5* Hunting/Pony Club knowledgeable home for this great pony. Up to date with all vaccinations. Good to box, shoe, clip, 100% in traffic, dogs and farm vehicles.